Get ready to explore Yosemite more than most people ever will… Prepare to be blown away as we hike through sections of the John Muir Trail scattered with rivers, waterfalls, lakes, adventure, and altitude. This 6 day, 5 night adventure will take you away from the crowds and through the beautiful, untouched high backcountry of Yosemite to reconnect you back to nature like never before. 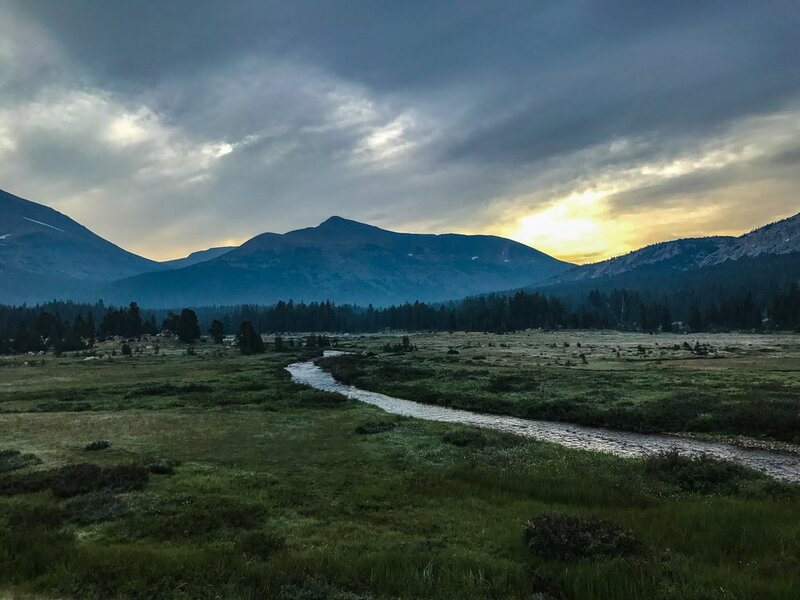 We’ll end up trekking from Tuolumne Meadows to the Yosemite High Sierra camps, and making our way on top of Cloud's Rest for the stunning views of Half Dome and the Yosemite valley so get ready to reconnect! This is a moderate to strenuous level backpacking trip that won't disappoint. We’ll take to spots in Yosemite that most tourists will never see, and elevate your backpacking and hiking game to the next level! Moderate-Strenuous. About 45 miles will be covered between the backpacking and Cloud's Rest trekking. Miles per day will range from 6-10 depending on the day. We rate our adventures on a 1-5 scale with 1 being the easiest and 5 being the most strenuous. This is a level 4 adventure where we recommend this hike for those who have experienced hiking at higher elevations, have some previous backpacking experience, and have been spending some time exercising throughout the week.